Today's enterprise networks struggle to keep up with a mobile workforce. Users expect on-demand access from their many devices, even as applications multiply and push performance levels. And of course security remains a priority. How do you scale and still preserve the integrity of the network? 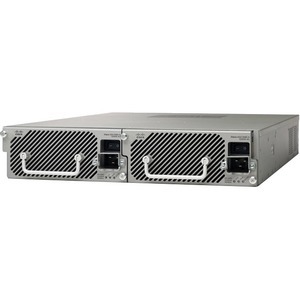 Start with the Cisco® ASA 5585-X Next-Generation Firewall, a compact yet high-density firewall that delivers tremendous scalability, performance, and security in a two-rack-unit (2RU) footprint. 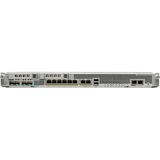 Using a single firewall blade, the Cisco ASA 5585-X meets the growing needs of dynamic organizations by providing eight times the performance density, very high VPN session counts, twice as many connections per second, and four times the connection capacity of any competitive firewall. Support for Layer 3 and Layer 4 stateful firewall inspection features, including access control and network address translation, enables organizations to keep existing stateful inspection policies that are essential for compliance regulations. The context-aware Cisco Intrusion Prevention System (IPS) services provide the capability to act more intelligently and aggressively against threats that pose a significant risk to organizations. In addition to comprehensive stateful inspection capabilities, Layer 7 next-generation policies act intelligently on contextual information. 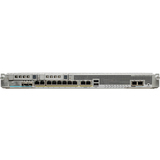 Cisco AnyConnect® technology provides information on the type and location of a mobile device before it accesses the network, so that administrators can maintain high levels of network protection and control. Threat intelligence feeds from Cisco Collective Security Intelligence (CSI) use the global footprint of Cisco security deployments to analyze approximately one-third of the world's Internet traffic for near-real-time protection from zero-day threats.